Hey, everyone! 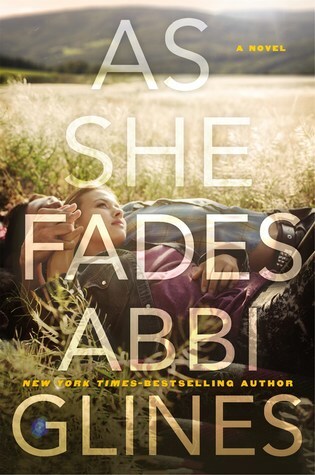 Lena here, and today I'll be covering AS SHE FADES by Abbi Glines. I originally discovered Abbi through a fellow blogger who truly adores her writing. Book Bloggers are the best resources when it comes to books, especially ones you personally know and trust. Needless to say, she was not wrong about this amazing author. Want to know my thoughts on Abbi Glines' latest? Keep on reading! "On the night of her high school graduation, Vale McKinley and her boyfriend Crawford are in a terrible car accident that leaves Crawford in a coma. They were supposed to spend the summer planning for college, for a bright future full of possibility. Together. Instead, Vale spends long days in the hospital, hoping Crawford will awaken. Slate Allen, a college friend of Vale's brother, has been visiting his dying uncle at the same hospital. When he and Vale meet, she can't deny the flutter of an illicit attraction. She tries to ignore her feelings, but she's not immune to Slate's charm. Slowly, they form a cautious friendship. Then, Crawford wakes up . . . with no memory of Vale or their relationship. Heartbroken, Vale opts to leave for college and move on with her life. Except now, she's in Slate's territory, and their story is about to take a very strange turn." Review: Once again, Abbi Glines knocks it out of the park with another unputdownable (yes, I know this is not a real word) novel. AS SHE FADES is one of those books where you're completely drawn in from the first page to the very last. Their lives somehow become your life, and while you're itching to know how it ends, you simultaneous do not want it to. At last, it does have to end at some point, and the ending did not disappoint. Vale and her boyfriend Crawford (aka the "it" couple) are on their way to celebrate their high school graduation when they get into a car accident leaving Crawford in a coma. Vale spends all of her time in the hospital waiting for Crawford to wake up. 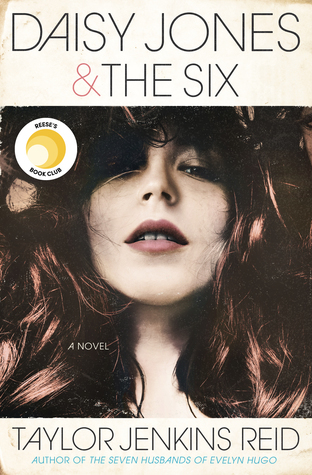 What's a girl to do when the love of your life is somewhere between life and death? It is here that she meets Slate, a fraternity brother of her real brother. Slate is in the hospital visiting his dying uncle, and he's everything Vale hates. He's cocky, a player, and just everything a dad warns his daughter about. It isn't until Vale decides to go move on with her life and go to college that she starts to think maybe she was wrong about him. What I loved about this book is all of the tension. Vale and her family is fantastic and understanding, especially her brothers. They all think she's spending too much time at the hospital and not enough with her family (especially with the little ones), but Vale never waivers. She wants to be there when Crawford wakes up. I'm glad Vale met Slate in the hospital. It added an extra layer to the romantic tension that boiled between them. There's a twist in the book that, if I'm being perfectly honest, I saw after reading the first chapter. I kind of had a hunch whenever I saw the book (If you really want to know how I figured it out, email me or tweet me. You'll think to yourself, "Duh! How did I not?"). This aspect didn't take away from the story though, and I loved seeing how everything unfolded. The only reason this isn't a 5 Star grand slam for me is I do wish there was MORE romance in it. There's hints and loads of maybes, but it wasn't the all-out YES I've come to expect from Abbi. Also, thought Crawford plays a role in the story, I never really swooned over him. I never had a reason for wanting Vale to stay with him other than the whole she's-been-with-him-forever factor. Slate, though? He's the guy you love to hate then hate to love. All in all, fans of Abbi Glines will not be disappointed. If you're looking for a fast, fun, make you randomly smile books, this is for you. Good day everyone,I can’t hide this great testimony that took place in my life I will love everyone to know it and be a partaker of this, that is why I want to share it to the whole world by placing this advert on classifieds, I am Mrs Karen Brown by name, I live in Chattanooga, Tennessee United State, I want to thank ROBBINSON MOORE for his kindness upon my family life, I never knew that there is still a sincere and trustworthy lender like this on the internet and on earth. Just some days I was in search for a loan of $ 100,000.00, As I was running out of money for feeding, School fees, My business was really going out of capital and my rent. I was scammed about $15,000.00 dollars and I decided not to involve my self in such business again. But a Friend of mine introduced me to a loan firm due to my appearance and doings and also my complains to her. And I told her that I am not interested in any loan deal anymore but she told me that there is still a sincere lender who she will recommend me to, And she gave me the details of this man who is called MOORE ROBBINSON. And I really put a trial and I am most greatful and lucky today, I was given a loan amount of $95,000,00 Dollars by this great firm MOORE LOAN COMPANY. If you arew in need of a genuine, Sincere, durable and a truth worthy loan lender or financial assistance and also you know you can be reliable and trusted, capable of paying back at the due / duration time of the funds I will advice you to send your contact to them via email @[ mooreloancompany@yahoo.com] OR Text +1(414) 454-9493 . And you will be free from scams on the internet. Please I am begging everyone on earth to help me thank Mr ROBBINSON MOORE. And I ill always being sharing this great surprise and testimony that happened in my life everyday to all that need loans. Contact them now if you are in need of a loan: AS THEY ARE EFFICIENT,DYNAMIC AND RELAIBLE.....Again there contact email [mooreloancompany@yahoo.com] OR Text +1(414) 454-9493..
Tuyết liên phong thấp linh hỗ trợ bệnh phong thấp, viêm khớp, đau nhức cơ bắp, đau thần kinh tọa.Hỗ trợ điều trị gout..Sản Phẩm sản xuất tại Malaysia. Theo dõi http://dentuongtrangtri.over-blog.com/ để cập nhật thông tin mới nhất về các mẫu đèn tường trang trí.